~ Since Rami relocated his hairdressing practice to Dubai in 2006, Rami has successfully grown to become one of the top, most sought after hairstylists within the UAE and the Middle East region. His brilliance originates from a strong training background, and he has over 17 years of International experience within the beauty industry. ~ Formerly trained with L’Oreal, Wella, Gold Well, Schwarzkopf, Keune, Dessange and many other recognized brands. 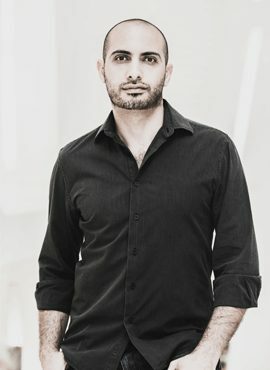 Rami has gone on to become recognized for his reputation and work and was awarded many times as one of Dubai’s top hairdressers by Time Out Dubai and many reputable magazines, International beauty bloggers and fashion experts. ~ From celebrity weddings to International events such as Dubai International Film Festival, Dubai International Fashion Show and Dubai Fashion Week, Rami’s personality and expertise has put the sparkle and pizzazz into the Middle East region. ~ Just flip through the most popular UAE’s fashion magazines to see Rami’s stunning hairstyles with many of his clients featured in OK! Middle East, Elle, Hello!, Grazia and Beauty Business. ~ Rami and his team are dedicated to enhance the beauty of their clients by accentuating natural features artistically, and by providing the highest quality makeovers and creative, trendy hairstyles. ~ Under Rami’s creative and artistic direction his team of Internationally recognized hairstylists produce stylish, modern and high-end results. ~ Rami Jabali Salon & Spa is located on the Plaza level of Murjan 3, along the stunning Jumeriah Beach Residence (JBR). Spacious and sophisticated, offering touches of elegance; Rami Jabali Salon & Spa offers an affordable and professional service for the modern woman. ~ With an array of different services brought to you by International stylists, the salon offers affordable hair services from expert cuts and colors, styling and highlights, to extensions and personal hair treatments; whilst the Spa offers a delightful menu of treatments for all over body maintenance and care. The Salon and Spa also offer tailor made packages to suit your personal, individual needs. ~ Rami Jabali is certainly the hottest place to go for all round luxurious pampering! Passion is at the heart of Rami’s work, which is emanated through his success and loyal clientele and shown through professional, long lasting results. ~ With a dedicated team of International color and cut experts supported by highlight specialists and top class technicians, Rami Jabali Salon & Spa is considered one of Dubai’s most popular hair salons. 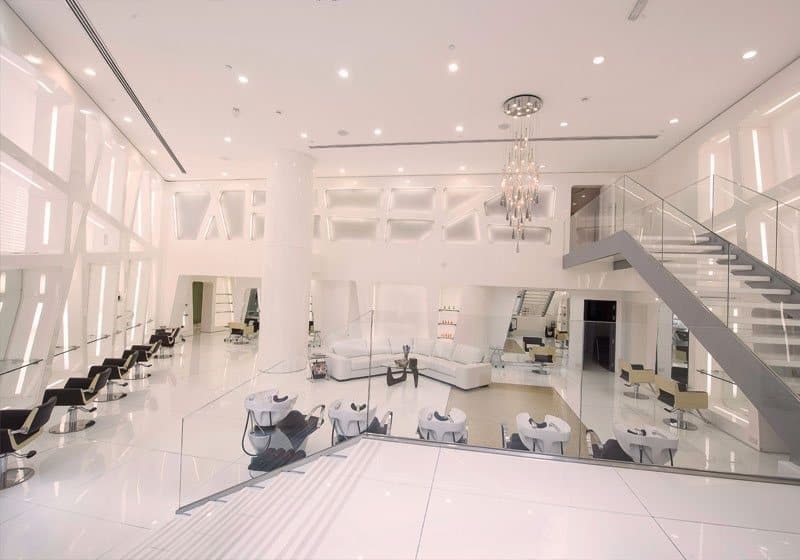 ~ Situated only five minutes from Palm Jumeriah and Dubai Marina, Rami Jabali Salon & Spa is the perfect “one stop place” for all of your personal needs.